The growth in public cloud and its adoption across every size and type of enterprise in 2016 is astounding. Companies like Microsoft and Amazon have labored tirelessly to create platforms capable of reinventing how IT is consumed, both now and into the future. Microsoft’s public cloud platform, Azure, is already seeing more than 120,000 new subscriptions a month, and Amazon Web Services (AWS) revenues have a run rate exceeding $10 billion a year. Looking forward, a number of the mid-sized enterprises we work with are rethinking their hybrid strategy to include the public cloud for more than just test/dev environments and disaster recovery. We’re even seeing boards of directors issue mandates for the organization to move a certain percentage of their workloads to the public cloud. In addition, Big Data initiatives are prompting another look at both public and hosted private clouds as cloud resources can help businesses use their budget dollars more efficiently by turning a capital expense into a monthly operating expense. For years, Managed Services providers focused almost exclusively on hosted private and multi-tenant clouds and colocation services. They viewed the public clouds as either a threat to compete against, or worse, a non-threat that wouldn’t impact their services business. At TierPoint, we’ve come to embrace the public cloud as a vital component of a three-pronged approach to true hybrid IT that includes public cloud, private/multi-tenant clouds, and on-premises resources. In 2016, we added Managed Azure services to our lineup of other cloud-based services such as Managed Office 365 and Managed DRaaS. In early 2017 we will be launching Managed AWS services as well. TierPoint is one of only a handful of managed service providers that has the capabilities to truly manage all workloads regardless of infrastructure. The key, as always, is to ensure our customers utilize the appropriate infrastructure for the application and usage scenarios for their specific IT environments. Managed private clouds and on-premises implementations, including colocation, still make sense for a lot of business scenarios. However, the public cloud can be a great solution to add scalability and agility for workloads. My experience tells me that we have reached a tipping point when it comes to hybrid cloud architecture. Those executives who say they have no plans to use a hybrid cloud will most likely wake up one day to find that they are already there. Adding public cloud resources to an on-premises or private cloud infrastructure is becoming a natural course of doing business. Roughly a third of executives recently surveyed said that lack of resources and expertise is holding them back from fully adopting the cloud. Security, compliance and managing costs were additional concerns, but every one of those requires the right skills and expertise, so the majority of concerns are closely related. Architecture and design — This goes beyond placing workloads in the most appropriate environment. Public clouds, for example, are exceptionally easy to manage, but there are a lot of options that can become overwhelming. Migration to the cloud — Once you decide to move an application to the cloud, we can help you plan a migration that minimizes downtime and a learning curve, while keeping your data and systems secure. Day-to-day monitoring and management — This not only includes managing your infrastructure for optimal performance but also monitoring for potential security threats. Cost management ­ – AWS and Azure cloud resources are very simple to turn on, almost too simple. In fact, sometimes companies can't accurately predict the costs associated with their cloud environment because they are not turning resources off when they are not being used. Managed cloud providers can help leverage cloud environments more efficiently. The bottom line is this: If you think a public cloud might be right for some of your applications, but your service provider remains skeptical, you might want to get a second opinion. They may have good reasons for steering you in another direction, but public clouds are advancing too quickly, and the benefits are too great not to consider the public cloud as a component of your 2017 IT strategy. Once you decide to embrace the cloud, remember you don’t need to go it alone. An experienced managed cloud services provider that fully embraces a hybrid approach can help you ensure that you have the right applications on the right platform, that your systems are kept compliant and secure, and that you are making the most effective use of your IT budget and resources. As Chief Strategy Officer of TierPoint, Andy Stewart is responsible for leading product development, technology strategy and mergers and acquisitions. 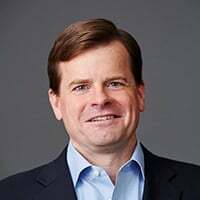 Andy has helped lead the company through a series of eleven acquisitions and over $2 billion of equity and debt financing, which together created the largest privately held cloud, managed services, and colocation provider in the US. Andy is an innovative thinker and influential collaborator who has worn many hats throughout his 30+ year career, including roles in finance, corporate development, and operations across a number of communications infrastructure companies.